What is Print & Cut? Print & Cut projects involve sending a project to be printed from the Silhouette Studio® program then cut from your Silhouette machine. 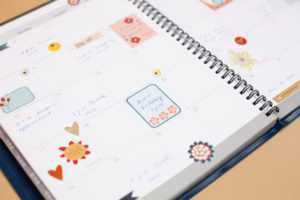 You will use the registration marks feature to add marks to your file, print your project to your home printer, place your printed material onto a Silhouette brand cutting mat, and then load it into the Silhouette machine. The Silhouette’s optic scanner will find the registration marks on your printed material and know accordingly exactly where to cut your defined lines around the printed content. All current Silhouette models have the optical sensor to accommodate the print & cut feature. 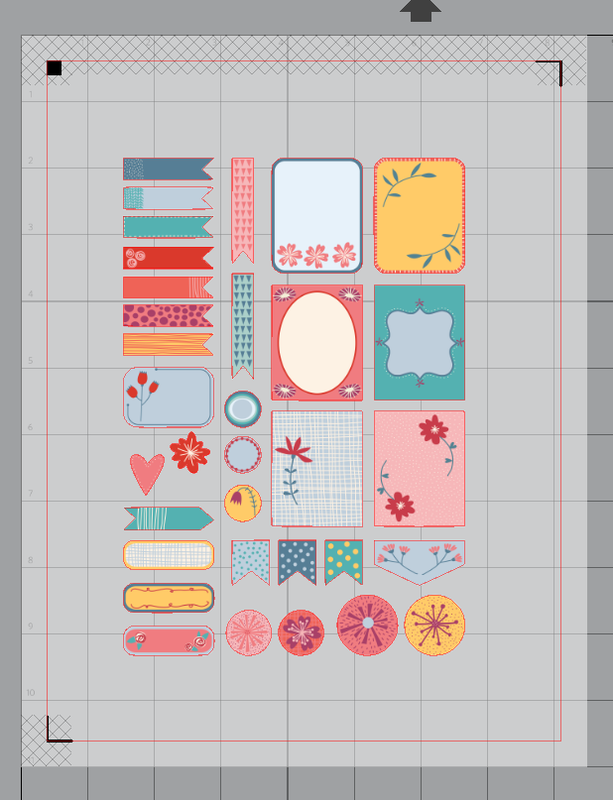 What can I make using the Print & Cut feature? 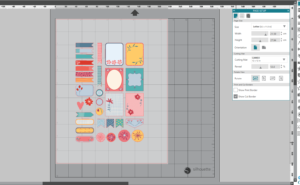 Check out this tutorial for detailed instructions on how to work with Print & Cut designs. 1. Open your Print & Cut design in Silhouette Studio®. 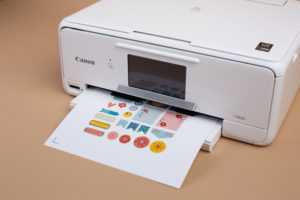 Make sure your workspace matches the size of paper you will be printing on. 2. To add registration marks, click on the Page Setup icon located along the right-hand toolbar and select the style of registration marks. Type 1 is standard (which is what you will most likely use), and Type 2 is for older machine models. 3. You will note that there are now crosshatched areas on three corners of your workspace. Make sure that your design does not overlap into the crosshatched area or else your Silhouette will have trouble reading your registration marks. 4. 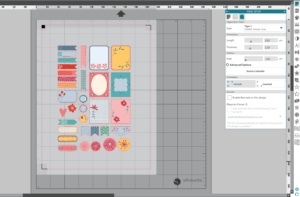 Once your design is ready to go, print your job to your regular printer by clicking on the Print icon in Silhouette Studio®. Make sure you have loaded your material, whether it is cardstock or a specialty material, into your home printer correctly. Here we are using white sticker paper. 5. 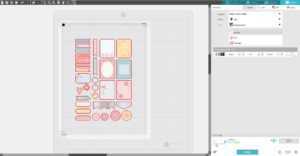 Load your printed material into your Silhouette using a cutting mat. Select the appropriate material from media list in the Send tab and adjust your blade accordingly (unless you use a machine with an AutoBlade). 6. Click “Send,” and your Silhouette will begin scanning the page for the printed registration marks. After the registration marks are found, the Silhouette will proceed to cut as usual. 7. Unload your material and complete your project. 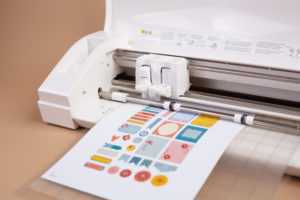 A Print & Cut image has two parts: a design you will print with your home printer and corresponding cut lines you will cut with your Silhouette. 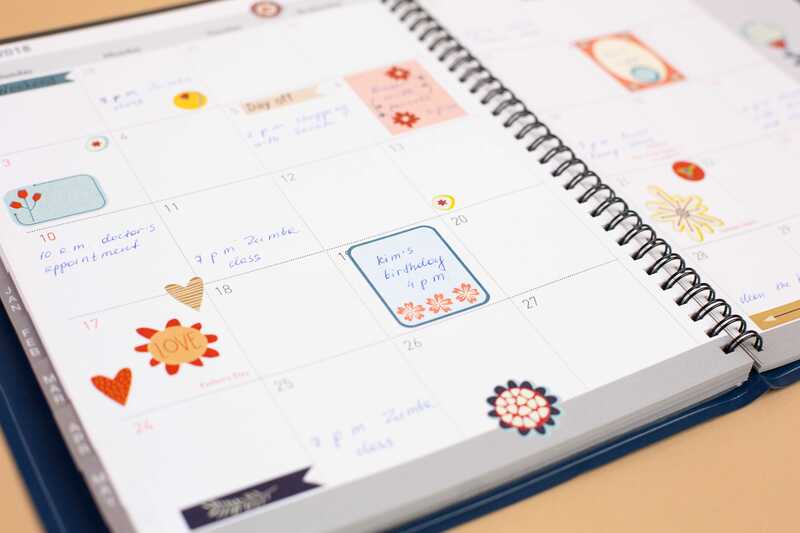 Though the cut lines will show in Silhouette Studio®, they will not be printed. 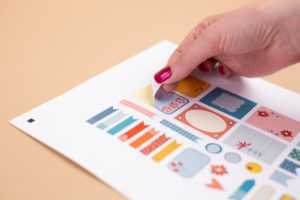 In addition to regular printer paper and cardstock, there is a large selection of Silhouette materials that can be used with the Print & Cut feature, including printable heat transfer material, printable foil, printable sticker paper, printable magnet paper, printable tattoo paper, and printable adhesive kraft paper. Are you using metallic materials for a Print & Cut? We suggest leaving the registration marks at the default settings and increasing the thickness to the max. If your machine fails to read your registration marks, you can choose to “retry manually” in the Send panel. Use the arrows to position the carriage above the marks and select “Register.” After the machine registers the mark, it will cut like usual.